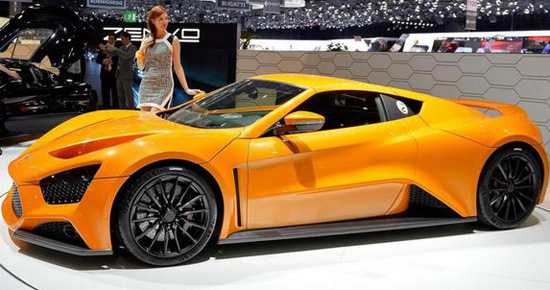 Zenvo Automotive, at this year’s Geneva Motor Show, came with the model ST1 ready for production. After poor appearance in an episode of Top Gear, Zenvo trying to convince the public that the ST1, which was first unveiled in 2008, is a reliable car to buy. Zenvo ST1 looks very aggressive, and has the 19- inch front and 20 -inch rear wheels with Michelin Super Sport tires. The interior is reminiscent of the nineties, and inside are electrically adjustable sports seat , steering wheel with flat bottom part, the details of carbon fiber, GPS navigation, Bose audio system, dual-zone air conditioning and a head- up display. The car is powered by 6.8 -liter V8 engine with a supercharger and turbocharger, which delivers a massive 1104Hp and 1430 Nm of torque, and power is transferred to the wheels via a seven-speed transmission. Zenvo ST1 weighs 1590 kg and from 0 to 60mph comes in three seconds. Its maximum speed is 233mph. Zenvo ST1 supercar costs 803.000euros($1,100,000).